There are seven continents on this planet and the largest one is Asia, so it’s no surprise there would be hundreds upon hundreds of successful people living there. Some are business people while others are entrepreneurs. There are lot of business people around the continent of Asia. But there are certain businessmen and women that have been great influencers and have developed their businesses around the world. These people are not only great entrepreneurs, but also an inspiration to a lot of people. 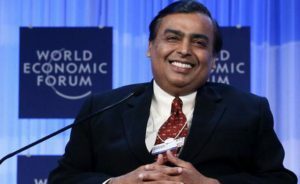 Indian Business Magnate Mukesh Ambani made his 21.5 billion USD fortune through Reliance Industries Limited, India’s most valuable company by market value. From textiles to natural resources, RIL is a true business conglomerate, with multiple interests and areas of business. He lives in a 27 story building in Mumbai named Antilia, believed to be worth in excess of 2 billion USD, making it the most expensive home in the world. Mukesh Ambani joined Reliance Industries in 1987. His business idea was to gradually take over the entire production chain for the products reliance made, driving profitability. Mukesh Ambani also set up Reliance Communications Limited, which focused on information and communications technology initiatives. Li Ka-shing is a Hong Kong business magnate, investor, and philanthropist. According to Forbes, as of February 2017 Li is the richest person in Asia, and 18th richest person in the world, with an estimated net worth of US$31.3 billion. He is currently the chairman of the board for CK Hutchison Holdings; through it, he is the world’s leading port investor, developer, and operator, and the largest health and beauty retailer in Asia and Europe. Li is one of the most influential entrepreneurs in Asia, presiding a business empire with diverse portfolio of businesses from a wide array of industries that include transportation, real estate, financial services, retail, energy and utilities. Wang Jianlin is currently the richest man in Asia, the largest and most populous continent on earth. The real-estate mogul, who served in the Chinese military from 1970 to 1986 before going into business, has his hands in dozens of sectors and his name on hundreds of companies through his conglomerate Dalian Wanda Group, including British yacht maker Sunseeker and US-based AMC Entertainment. Some of Wang’s largest investments are overseas, including upscale real-estate development projects in Sydney and Madrid. 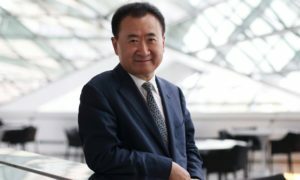 From 2014 to 2015, Wang saw his fortune more than double from $13.2 billion to $30 billion after Wanda Commercial Properties and Wanda Cinema Line, China’s largest property developer and Asia’s largest movie-theater operator, completed initial public offerings. During that time he also purchased a 20% stake in the Spanish soccer club Atlético Madrid for $52 million and bought the World Triathlon Corp., parent company of the iconic Ironman triathlon, for $650 million. Henry T. Sy, Sr. is a Chinese-Filipino business magnate, investor, and philanthropist. He is involved in the industries of real estate, hospitality, banking, mining, education, and health care. He is responsible for the establishment of SM Malls, anchored by Shoemart Department Store and Supermarket. He is the chairman of SM Prime Holdings, Inc., the holding corporation for all his business interests in his vast business empire. He is the Philippines’ richest man, gaining $5 billion in 2010, amid the global financial crisis. The huge gain was due to his holding company, SM Investments Corporation, which has interests in Banco de Oro, inter alia. Forbes magazine’s 2008 list of 40 wealthiest Filipinos, revealed the Sy family’s net worth was $6.2 billion. Earlier, he was the second wealthiest individual in the Philippines, next to Lucio Tan, and (as of 2010) 201st in the world. Ratan Naval Tata, is an Indian businessman, investor, philanthropist and former chairman of Tata Sons. He was the chairman of Tata Group, a Mumbai-based global business conglomerate from 1991 till 2012 and again from 24 October 2016 for an interim term, and continues to head its charitable trusts. Ratan Tata was always interested in cars since his childhood days. He started his career in the year 1960 in the Tata Group. In the beginning, he worked as a general worker in Tata Steel. His success story speaks for itself when we see his rise in the ranks J.R.D Tata resigned from his chairmanship of Tata Group and made Ratan Tata as his successor in 1991.This decision was criticized by many as Ratan Tata was not sufficiently experienced at that time. But with his impeccable leadership skills, Tata Group reached new heights to become a global brand across the world. The group acquired many big brands under his leadership such as Tetley, Jaguar, Land Rover, Corus, etc. Tata consultancy services was built under the vision of his leadership. Lakshmi Niwas Mittal is an Indian steel magnate, based in the United Kingdom. He is the chairman and CEO of ArcelorMittal, the world’s largest steelmaking company. Mittal owns 38% of ArcelorMittal and holds an 11% stake in Queens Park Rangers F.C. In 2005, Forbes ranked Mittal as the third richest person in the world. In 2007, Mittal was considered to be the richest Asian person in Europe. He was ranked the sixth-richest person in the world by Forbes in 2011, but dropped to 82nd place in March 2015. In spite of the drop, Forbes estimated that he still had a personal wealth of US$16 billion in October 2013. In 2017, Forbes ranked him as the 56th richest person in the world with a net worth of US$16.4 billion. Mittal has been a member of the board of directors of Goldman Sachs since 2008, and is also member of the board of directors of the Airbus Group (formerly known as European Aeronautic Defence and Space Company (EADS)). He sits on the World Steel Association’s executive committee, and is a member of the Indian Prime Minister’s Global Advisory Council, the Foreign Investment Council in Kazakhstan, the World Economic Forum’s International Business Council, and the Presidential International Advisory Board of Mozambique. Ho Ching is the Chief Executive Officer of Temasek Holdings (since 2002). She is married to the current Prime Minister of Singapore, Lee Hsien Loong. Ho first joined Temasek Holdings as a Director in January 2002 then became its Executive Director in May 2002 and was appointed Chief Executive Officer on 1 January 2004. As of 2016, she is listed as the 30th most powerful woman in the world by Forbes. She is widely credited with transforming Temasek, an investment company owned by the Government of Singapore, from a Singapore-focused firm into an active investor in Asia and the world. Today, Temasek owns and manages a net portfolio of S$215 billion (US$173 billion) as at 31 March 2013. Ho has a strong track record in public service, notably for having served as chairman of the Singapore Institute of Standards and Industrial Research, and as deputy chairman of the Productivity and Standards Board, and the Economic Development Board. Ma Yun known professionally as Jack Ma, is a Chinese business magnate who is the founder and executive chairman of Alibaba Group, a family of successful Internet-based businesses.In 2014, he was ranked as the 30th most powerful person in the world in an annual ranking published by Forbes. In 2015, Asian Award honoured him with the Entrepreneur of the Year award. In 2017, Fortune ranked Ma second on its World’s 50 Greatest Leaders list. 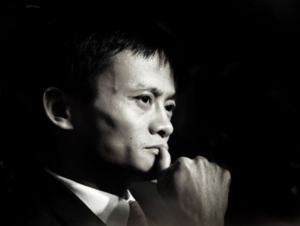 Additionally, Ma plans to push Alibaba outside of China and significantly expand its ventures abroad. The company’s shares dropped 22% in 2015, most likely because of China’s slowing economy and concerns over counterfeiters using the company’s platform. Ma isn’t worried, though. He acknowledges that the next year will be a trying time for the Chinese economy, but he remains confident in Alibaba’s long-term success. Robin Yanhong Li is the youngest self-made billionaire in our Asia’s richest Entrepreneurs list. The 44-year-old co-founded China’s biggest online search engine, Baidu, with Eric Xu in 2000 after developing software for U.S. tech firms IDD and Infoseek in Silicon Valley. Li had earned a master’s degree in computer science from the State University of New York, before setting on his entrepreneurial venture. The billionaire is currently the chairman and CEO of Baidu, which also offers other online services like mapping and encyclopedias. Building on its success, Baidu was the first Chinese company to be listed on the Nasdaq 100 Index in 2007. Google’s departure from the Chinese market in 2010, allowed Baidu to cement its position as the number one choice for Chinese language internet search services. Sunil Bharti Mittal is the founder of Bharti Enterprises and chairman of flagship firm Bharti Airtel, India’s largest mobile service provider. Mittal is also India’s eighth richest man, according to Forbes. Mittal founded the group in 1976, at the age of 18, as a bicycle parts manufacturer with less than $500 from his father. The 55-year-old tycoon went on to establish Bharti Telecom, the first company in India to introduce push-button telephones in the 1980s and cordless phones a decade later. The group now has interests in retail, financial services and manufacturing, with operations in 20 countries. Coming from a middle-class family in the north Indian city of Ludhiana to become one of India’s richest men, Mittal told the Times of India in 2002 that he had started with a dream and was encouraged by his father, who was confident he would accomplish great things. Wan-Tsai Tsai is the only Taiwanese billionaire to make the richest entrepreneurs list and is the third wealthiest man in Taiwan, according to Forbes. Tsai, a former legislator, founded the Fubon Group, one of the country’s largest conglomerates, as Cathay Insurance in 1961. The group now has subsidiaries in construction, telecommunications and media. Tsai’s far-reaching conglomerate has become a family business with U.S.-educated sons Daniel and Richard chairman and vice-chairman, respectively, of Fubon Financial – the group’s holding company – which has a market cap of $12.7 billion. Liang Wengen is the chairman of Sany Group – one of China’s largest construction equipment manufacturers. Liang was born into a poor family in China’s Hunan province, but managed to get a graduate degree and with three others founded Sany in 1989 as a small welding materials factory in the same province. Since then, the conglomerate has grown into a global operation with five industrial parks in China, and five manufacturing bases in the U.S., Germany, India, Brazil and Indonesia, along with 21 sales firms around the world. Sany’s concrete pumps were used to build the Three Gorges Dam in China, and its acquisition of German manufacturer Putzmeister in 2012 made it the world’s top manufacturer of concrete pumps. Liang has a 58 percent stake in Sany. 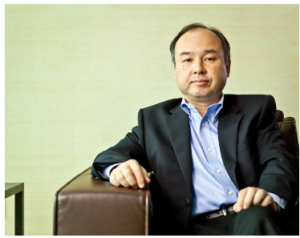 Masayoshi Son is the founder and CEO of Softbank, Japan’s third-largest mobile carrier. He is also the third richest man in Japan, according to Forbes. The grandson of Korean immigrants, Son grew up in a rural area southwest of Tokyo before moving to California to go to high school and graduated from the University of California, Berkeley. While attending university, 19-year-old Son built a talking electronic translating machine, which he sold to Japanese electronics firm Sharp. Son, then, returned to Japan and founded Softbank in 1981 as a computer and software distributor, which went on to become a telecom giant and invest in a range of companies in different industries like Yahoo, Aozora Bank and Nasdaq Japan. Softbank now has a market cap of over $53 billion and Son is reported to own more than 20 percent of the group. Charoen Sirivadhanabhakdi is the owner of Thailand’s largest brewer Thai Bev and the third richest man in the country, according to Forbes. Rising from humble beginnings as one of 11 children of a street vendor who migrated from southern China to Bangkok, Charoen left school at the age of nine to start working. In the 1970s, Charoen started a small trading business selling local cheap beer and whiskey, and over the next decade and a half he went on to invest and own sugar mills, banks and insurance companies. A big move in growing his beverage empire came in 1995, when he set up a joint venture with Danish brewer Carlsberg to produce Chang Beer and later formed Beer Thai, which went on to become part of Singapore listed Thai Bev. The tycoon is also heavily invested in real estate and his privately held TCC Land owns shopping malls and hotels from Singapore to New York. Tatparanandam Ananda Krishnan is the second richest man in Malaysia with a business empire that spans telecoms, gaming, property, oil and pay-TV. Born to Sri Lankan immigrants in Kuala Lumpur, the Harvard graduate first made his millions as an oil trader and was a founding director of state oil giant Petronas. Through his holding firm Usaha Tegas he has gained control of several Malaysian firms, and while he maintains a very low profile, he has a reputation for timing the stock markets well. With his controlling stake, Ananda took Malaysia’s top telecoms firm Maxis private in 2007 before the global financial crisis hit, and then relisted it in 2009 with a $3.3 billion initial public offering (IPO). Zong Qinghou is the richest person in China and the wealthiest member of China’s legislature. He is the chairman and CEO of China’s largest beverage producer – the Hangzhou Wahaha Group. Zong founded the drinks maker as an elementary school shop selling vitamin drinks and candy in the eastern city of Hangzhou in 1987 with a loan of $22,000. The firm now has about 150 subsidiary companies, which also include children’s clothing and 60 manufacturing bases across China. Zong owns more than 80 percent of the firm. Known for his thrifty lifestyle, Zong said in an interview with BBC in 2011 that he lives on $20 a day. He still reviews every office expense and personally signs off on every major spending decision made in the company, according to media reports. Tan Sri Anthony Francis “Tony” Fernandes, CBE (born 30 April 1964) is a Malaysian entrepreneur. He is the founder of Tune Air Sdn. Bhd., who introduced the first budget no-frills airline, AirAsia, to Malaysians with the tagline “Now everyone can fly”. 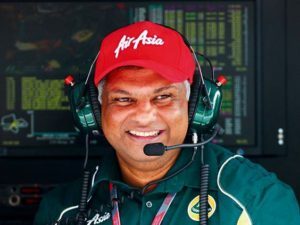 Fernandes managed to turn AirAsia, a failing government-linked commercial airline, into a highly successful budget airline public-listed company. He has since founded the Tune Group of companies. Fernandes was admitted as Associate Member of the Association of Chartered Certified Accountants (ACCA) in 1991 and became Fellow Member in 1996. He is currently a member of the Institute of Chartered Accountants in England and Wales (ICAEW). Fernandes was formerly a Warner Music executive in Malaysia. He was the South East Asian regional vice-president for Warner Music Group from 1992 to 2001. When Time Warner Inc announced its merger with America Online Inc., Fernandes left to pursue his dream of starting a budget no-frills airline. In September 2001, Fernandes purchased AirAsia and became its chief executive. Cher Wang is a Taiwanese entrepreneur and philanthropist born in Taipei, Taiwan. As co-founder and chairperson (since 2007) of HTC Corporation (which manufactured one out of every six smartphones sold in the United States) and integrated chipset maker VIA Technologies. She is considered one of the most powerful and successful women in technology. her Wang has established a number of successful IT-related businesses, including founding VIA Technologies, Inc. in 1987 and co-founding HTC Corporation in 1997. She is currently Chairwoman of both companies, and holds leadership roles in numerous other enterprises and organizations. Cher is active in the international business community, participating as an Industry Partner at the World Economic Forum and as a member of the APEC Business Advisory Council (ABAC). In 2010, Cher co-founded the ABAC Women’s Forum to identify capacity-building policy recommendations that enhance opportunities for women in business, and to hold outreach activities within APEC economies. 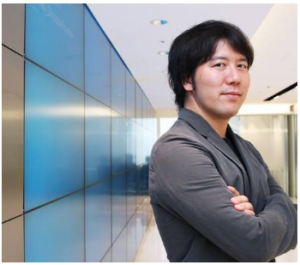 Yoshikazu Tanaka is a Japanese entrepreneur who is a developer of Social Networking Service GREE, provided by GREE, Inc. which is an Internet business company he founded. Yoshikazu Tanaka became Japan’s youngest billionaire as investors piled into Gree Inc., valuing his controlling stake in the early maker of phone-based games at $4 billion. Just 18 months later, that has shriveled to about $1.4 billion. For a youngster — at 36, he’s 12 years junior to the next on Japan’s billion-dollar list — Tanaka was slow to pick up on the global smartphone craze. Half a decade after Apple Inc.’s iPhone went on sale in Japan, Gree relies on the generation of handsets that preceded smartphones for 60 percent of revenue. In February 2009, Tanaka was ranked 24th among “Japan’s 40 Richest Billionaires” by Forbes Asia. As of 2010, at age 33, he was ranked as “Asia’s Youngest Self-Made Billionaire” under the age of 35 and was selected as the “World’s Second-Youngest Self-Made Billionaire” after Facebook’s Mark Zuckerberg. Olivia Lum Ooi Lin is a Singaporean businesswoman. She is best known for being the founder, group chief executive officer, and president of the Singapore-based Hyflux Group. She also heads the Research and Development function. Olivia Lum, founder and CEO of Singapore-based Hyflux, has often said that she is attracted by the unpredictable. This love of the unknown was perhaps the catalyst for her choice to study chemistry, but is more likely the reason why Lum is the first ever woman to be crowned Ernst & Young World Entrepreneur of the Year (2011). Lum holds several positions in public service. She is a board member of SPRING Singapore, the National University Singapore Council, and the Singapore Exchange, as well as the president of the Singapore Water Association. She is also a member of the UNESCAP Business Advisory Council and the Singapore Green Plan 2012 coordinating committee. Lum was a Nominated Member of Parliament in the Parliament of Singapore from 2 July 2002 to 1 January 2005. In 2003, she was awarded the International Management Action Award, followed by the Global Female Invent and Innovate Award the following year. Do you follow any influencers which inspire you to achieve success like them? Please comment below some of your favorite Asian Entrepreneurs that are on this list, or if there are others that deserve an honorable mention.